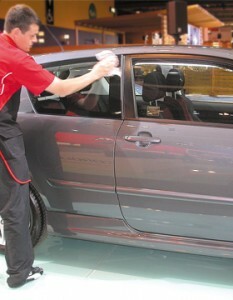 CJ Windscreens was established by two glass repair and glass replacement expert engineers, Chris Trow and John Mollekin. 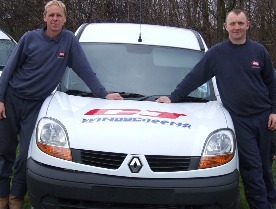 Having worked for large windscreen repair and replacement companies, Chris and John realised they could provide a more customer focused service alone and set up CJ Windscreens in 2006. With over 20 years of practical and management experience in the trade, CJ Windscreens prides itself on being a family orientated business, delivering a truly personal service that you can trust and rely upon. At CJ Windscreens you will not be treated like a number or passed from department to department, you are a valued customer with an urgent need and will be treated as such! The person you speak to on the phone, gives you the quote, arranges the visit, and is the same person you will meet when CJ Windscreens arrive to repair or replace your glass! Over the past 6 years, CJ Windscreens has built a well-deserved reputation for competitive pricing and a highly reliable service. “If we say we are coming to help, we will be there! I pride CJ Windscreens on having never let anyone down.” – Chris Trow. “By running an efficient organisation, with lower overheads than many of our national competitors, we can afford to offer a price for glass repair and replacement that is as amazing as our service.” – John Mollekin. We hope that you never need us, but if you do simply give CJ Windscreens a call. We aim to make life as simple as possible with services including insurance direct billing. A quick chat with Chris or John on is all it takes to get your car back to normal. Simply Freephone 0800 043 0275 or dial 01709 865157 .